Today, we celebrate the life and work of Dr. Martin Luther King Jr., a leader and legend in the Civil Rights Movement of 1950s and 1960s. And what better way to celebrate here at the Hub than to round up some of the incredible young adult fiction and nonfiction exploring this pivotal time in history? 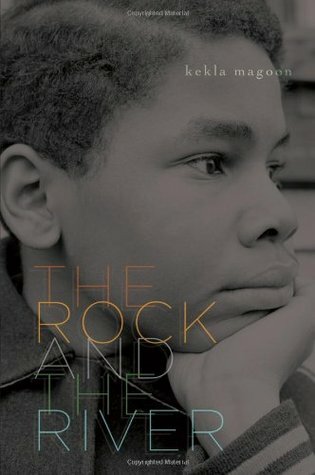 While the major events and people of the Civil Rights Movement might be familiar, one aspect in particular is frequently under-appreciated: the incredibly significant role of children and teens. From elementary school kids to high school & college students, young people contributed their time, energy, and passion while risking their futures, bodies, and even sometimes their lives for the fight for justice. Nowhere does the strength of their commitment come through more clearly than in these young adult novels and nonfiction narratives. Many of the significant civil rights events in the 1950s occurred at places central to the lives of children and teens: schools. In 1954, the U.S. Supreme Court handed down its monumental decision in the case of Brown v. Board of Education, unanimously declaring that racial segregation in public schools was unconstitutional. The ruling set into motion a renewed push for school integration across the country. 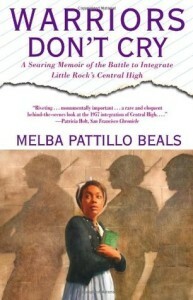 Warriors Don’t Cry: A Searing Memoir of the Battle to Integrate Little Rock’s Central High – Melba Pattillo Beals (1995 ALA Notable Book) Drawing on memories, historical documentation, and her own teenage diaries, Melba Pattillo Beals shares her harrowing and life-altering experience as one of the Little Rock Nine–the nine black teenagers who integrated Central High in Little Rock, Arkansas in 1957 amid violent protests and an eventual federal military intervention. Her straightforward and honest prose and the inclusion of her diary entries make this monumental historical event personal and alive in a whole new way. 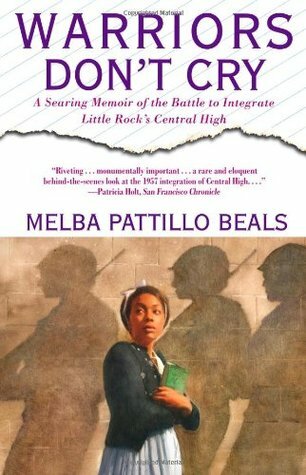 For another view on Central High’s integration, check out her fellow Little Rock Nine member Carlotta Walls LaNier’s memoir, A Mighty Long Way: My Journey to Justice at Little Rock Central High School. A year after the contentious integration of Central High, tensions in Little Rock remain high. However, shy Marlee Nisbitt is mostly worried about starting middle school. 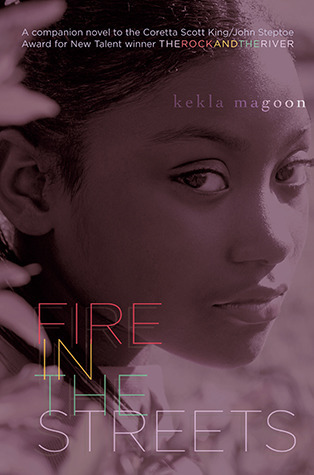 But when her new outspoken friend Liz suddenly leaves school after rumors spread that she’s a black girl passing as white, Marlee must put her newfound voice to the test to stand up for her friend–and a larger cause. A few years after the infamous events in Little Rock, young Ruby Bridges became the first African American student at William Franz Elementary in New Orleans. 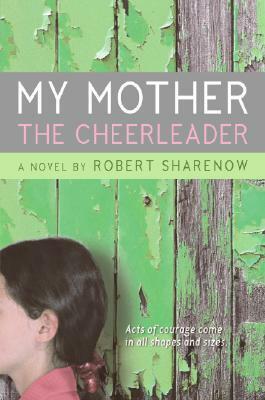 Louise Collins’ mother has become a Cheerleader–one of the women who return daily to taunt Ruby. Life for Louise, however, hasn’t changed–although she’s pretty sick of working at their boarding house instead of attending school. Then a mysterious man shows up to rent a room and suddenly Louise is pushed to reconsider her apathy to both the historical events unfolding around her–and to her own muddled history. While some young adults stood up for their rights by going to school, others played their part by doing the opposite: walking out of class to join marches & sit-ins. 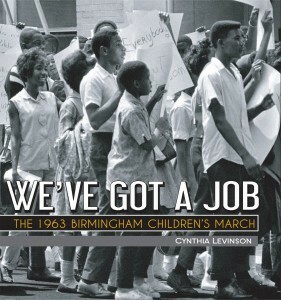 This award winning nonfiction book tells the story of the 1963 Children’s March (also known as the Children’s Crusade) through the eyes of four young participants. 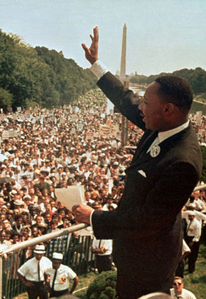 Despite strong leadership from Dr. King himself, the push for integrated public spaces and fair treatment under the law in Birmingham, Alabama had stalled. The plan to fill the jails had failed–until hundreds of children and teens stepped up to the challenge. Using original photographs and drawing on a variety personal accounts, this exciting nonfiction narrative explores the intense & monumental series of events that leading up the now famous 1965 march from Selma to Montgomery, Alabama. 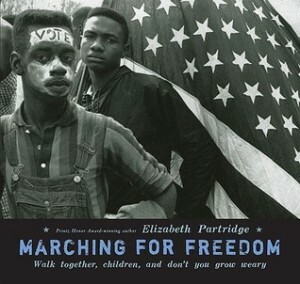 Partridge also focuses on the experiences of several individual teens and children in the protests and the march, following the events on a day-by-day basis. However, young people weren’t only involved in nonviolent civil rights activism–many were also very attracted to the fierce, black power message of the newly formed Black Panther Party. It’s 1968 and Chicago, like the rest of the country, simmers with tension and Sam is right in the middle of it. His father is a well known civil rights activist but his older brother Stick has begun to explore the more radical Black Panthers. As much as Sam wants to believe in his father’s commitment to nonviolence, he’s sick of just standing by in the face of racism and the Panthers seem to have answers. But is he in over his head? 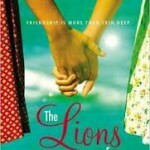 Taking place just a few months later, this companion novel follow’s Sam’s ex-girlfriend Maxie as she attempts to earn her place in the Panthers. When she learns that someone in the Panthers is passing inside information to the police, Maxie decides to hunt down the traitor. But the truth might lead her to question her loyaltiesâ€”to the Panthers, to her family, and to her own beliefs. For a slightly younger perspective on the powerful presence of the Black Panther Party, check out Rita Williams-Garcia’s National Book Award Finalist & 2011 Newbery Honor One Crazy Summer and its recently published sequel P.S. Be Eleven. 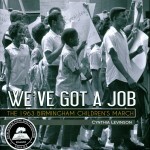 What are your favorite books exploring the Civil Rights Movement? 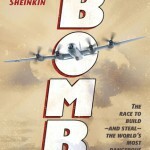 What other titles include examples of teens’ participation in historical events? I am a librarian at an independent girls' school in the DC-Metro area. I am a compulsive baker, book addict, and genre fiction fan with passion for social justice. 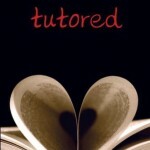 Find me on Twitter as @onesmartcupcake.